Trump aide Kellyanne Conway told CNN she was assaulted at a restaurant in Maryland last year in front of her daughter, NBC News reported. A woman grabbed Conway from behind and shook her, Conway said in the interview, which aired Friday morning. "Her whole face was terror and anger. She was right here, and my daughter was right there. 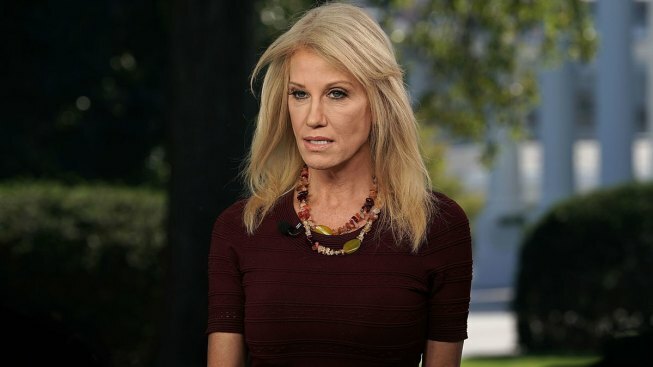 She ought to pay for that," Conway said. CNN reported that Mary Elizabeth Inabinett was charged in November with second-degree assault and disorderly conduct. Her lawyer denied the charge of assault to CNN; NBC News has reached out to him for comment.